Level 3: Canine Good Citizen teaches advanced skills and prepares both dog and handler for the Canine Good Citizen (CGC) certification test. You can choose to take the test at the end of this five-week course. This course is also an excellent foundation for other fun activities such as Agility and K9 Nosework. The Canine Good Citizen Program is a rapidly growing, nationally recognized program that stresses responsible dog ownership. a. A five- or six-foot leash (no retractable or chain leashes). b. 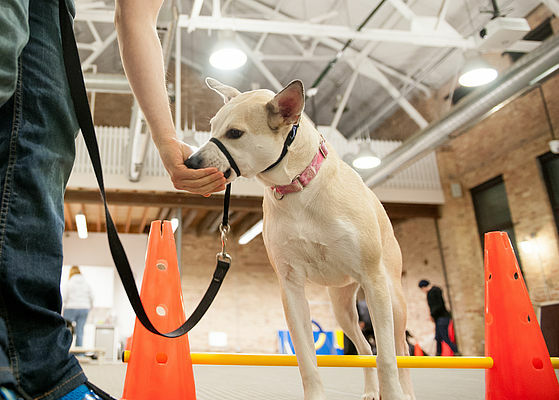 A 15-foot cotton-web training leash. Collar: Buckle collar or slip collar. Treats: Lots of small, easy-to-chew, high-value treats. Cut up pieces of cheese or hot dogs are good choices, as are soft treats made specifically for training. Brush or comb: Needed to practice for the CGC test. Do you enjoy training dogs? We have volunteer opportunities where you can do just that!